What do you like? How do you feel? Who are you? 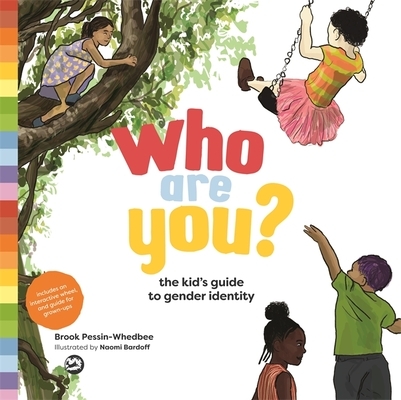 This brightly illustrated children's book provides a straightforward introduction to gender for anyone aged 5+. It presents clear and direct language for understanding and talking about how we experience gender: our bodies, our expression and our identity. An interactive three-layered wheel included in the book is a simple, yet powerful, tool to clearly demonstrate the difference between our body, how we express ourselves through our clothes and hobbies, and our gender identity. Ideal for use in the classroom or at home, a short page-by-page guide for adults at the back of the book further explains the key concepts and identifies useful discussion points. This is a one-of-a-kind resource for understanding and celebrating the gender diversity that surrounds us. Brook Pessin-Whedbee is a public school teacher and mama to three little ones who joyfully bend and break the gender boxes. She is an active member of the Gender Spectrum parent community and founder of the Berkeley Alliance for Gender Inclusive Schools. She lives in Oakland, California. See more at kidsguidetogender.com.